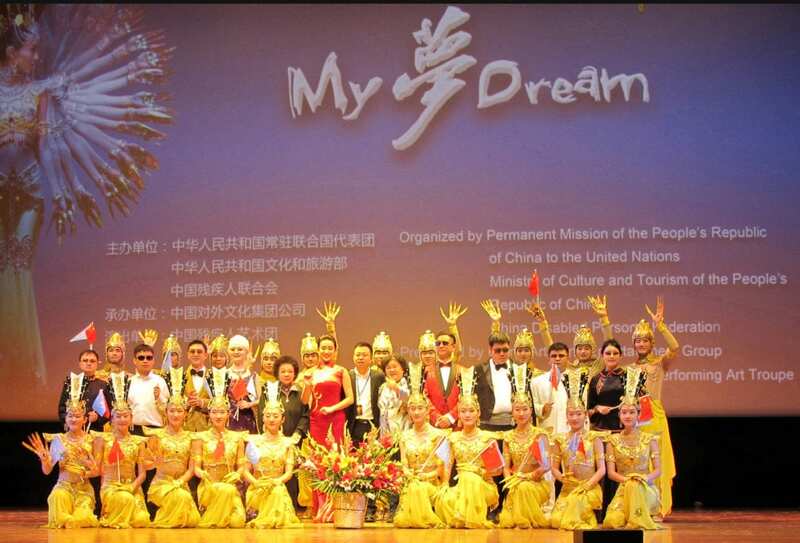 The Chinese delegation to the United Nations held a special event at Lincoln Center on Nov. 6, “My Dream,” which featured a troupe of disabled artists from China. China’s Ministry of Culture and Tourism also supported the troupe and event. Dr. Grace Shu, Senior Advisor to the U.S. Public Health Service and China CDC, HIV/STD Control Center, and Dr. Jason Shu, of the National Health Service Advisor, were invited to attend and meet with the troupe. María Fernanda Espinosa, current President of the U.N. General Assembly, expressed her appreciation for the event, while several envoys to the U.N. and senior U.N. officials also attended the performance.